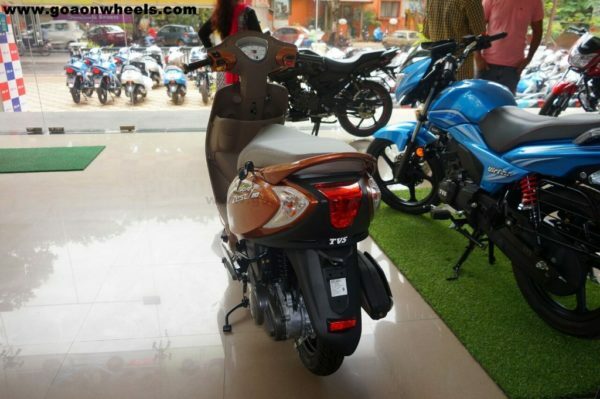 TVS has rolled out a special edition Scooty Zest 110 “Himalayan Highs’ edition’. 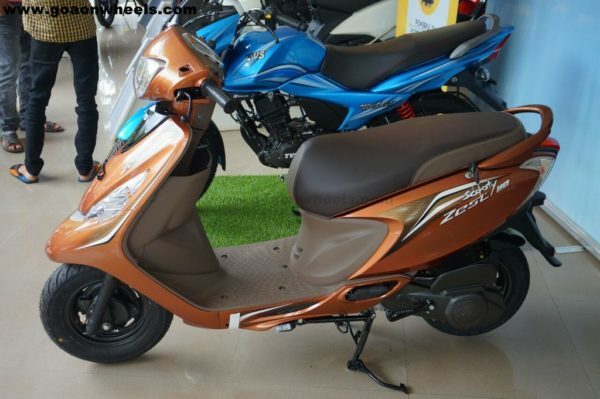 The new limited edition scooter is launched to commemorate TVS Scooty Zest 110’s ride to Khardung La Pass by a female rider, Anam Hashim. 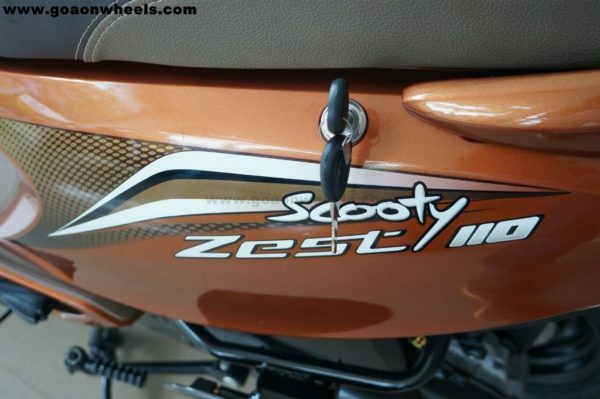 With this feat, TVS Scooty Zest 110 has earned a place in the India Book of Records for being the first 110 cc Scooter to reach Khardung La in the Himalayas. 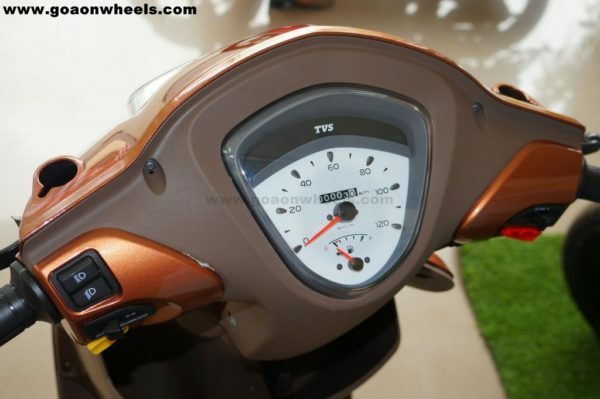 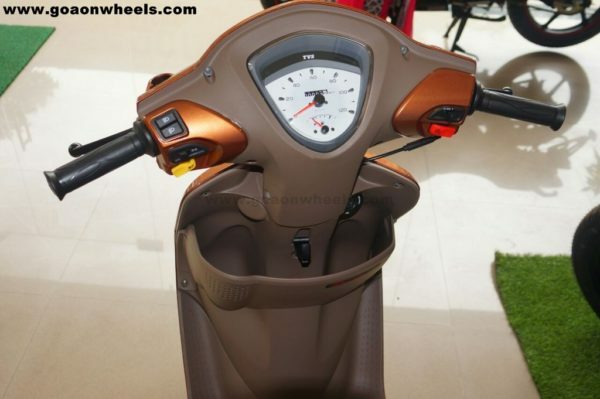 The special edition TVS Scooty Zest 110 Himalayan Highs, comes in an exclusive Himalayan High Brown colour with beige pigmented panels and superior enhanced features such as new tapeset, body colour mirrors, body colour cover switch panels. 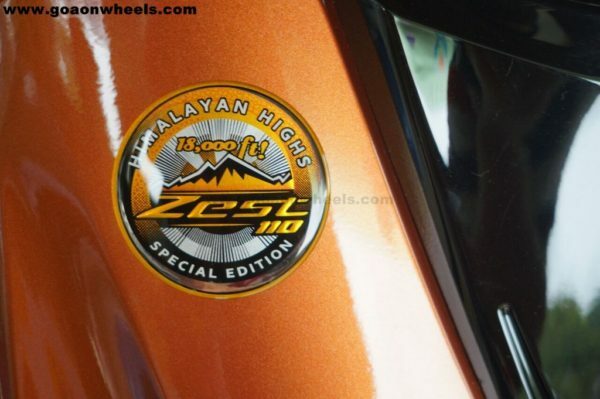 The special edition scooter features a special emblem honoring the feat of reaching the highest motorable road in the world at 18,380 feet. 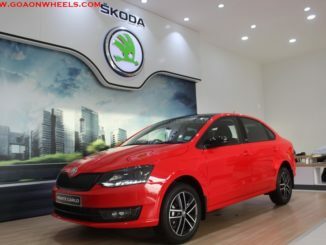 The instrument console with white background, wedge shaped rear end with boomerang turn indicators are the design highlights. 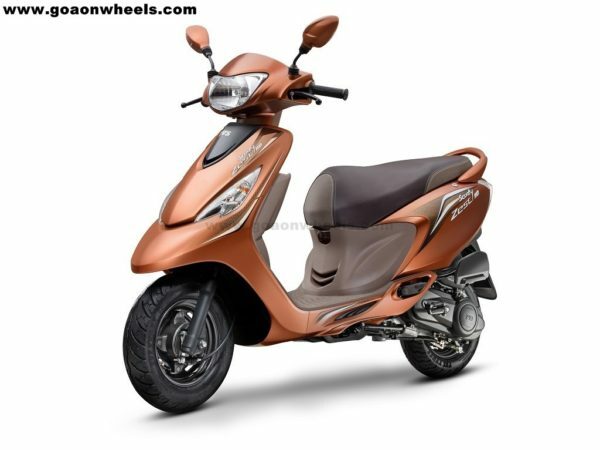 Targeted at the New-age Indian Woman of today, the Scooty stands true to the DNA of a scooter, while maintaining a fun look, coupled with vibrant graphics, elegant design and a remarkable initial pick up of 0 – 60 kmph in mere 11.1 seconds. 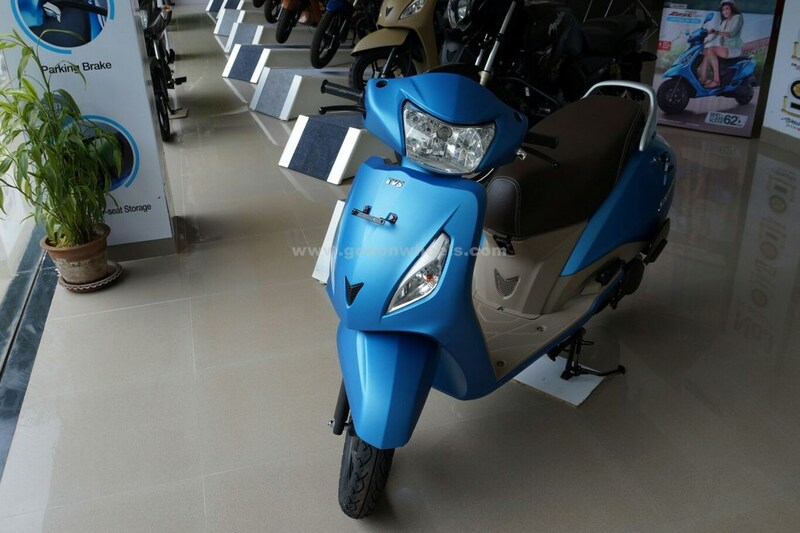 TVS Scooty Zest 110 is powered by a single cylinder, four-stroke, air-cooled CVTI engine. 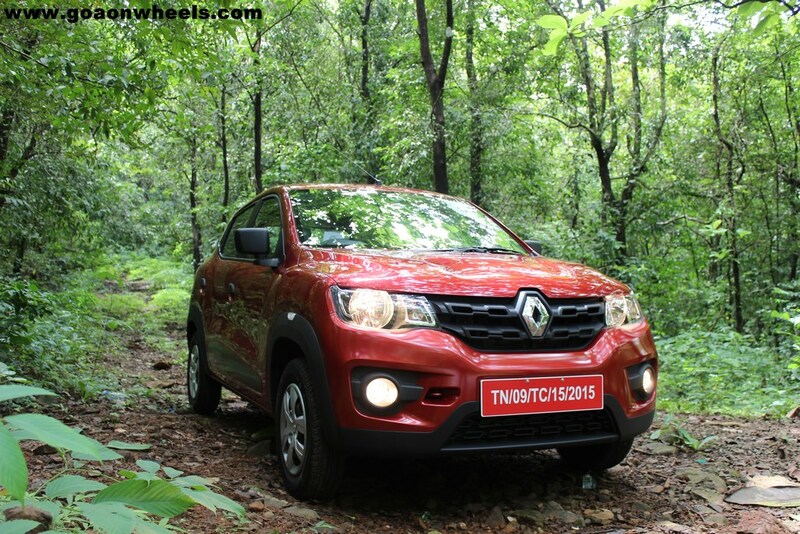 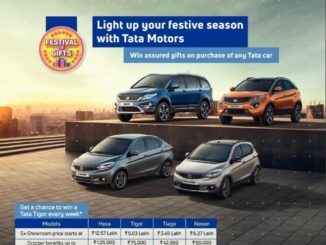 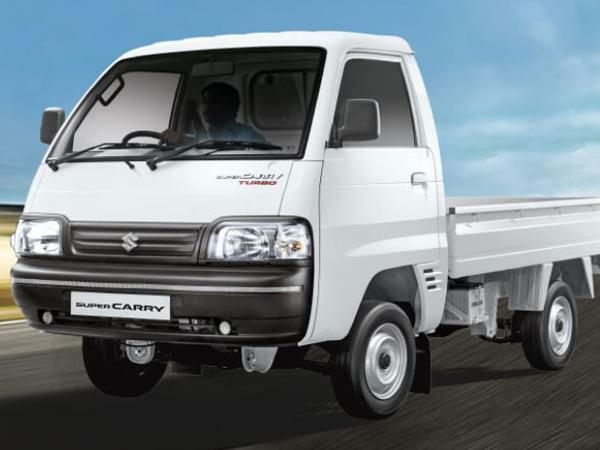 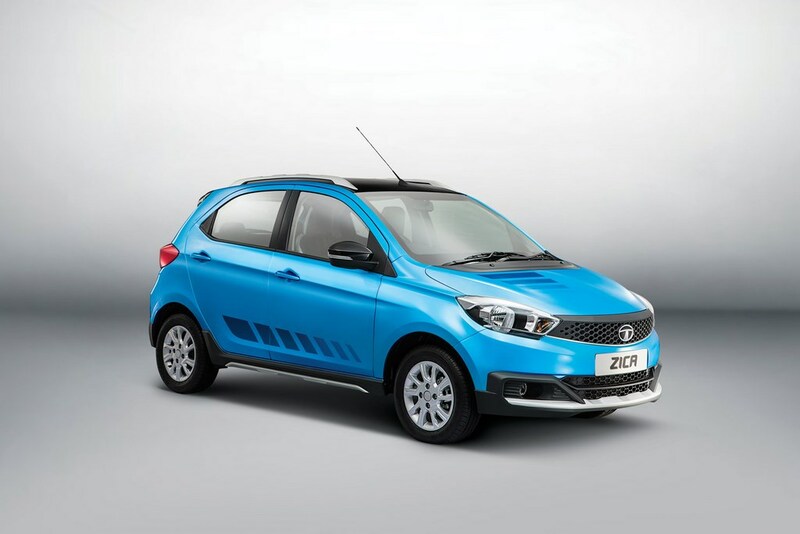 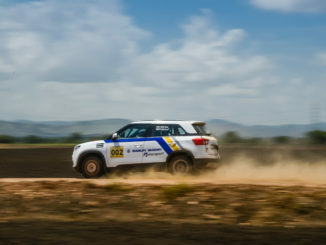 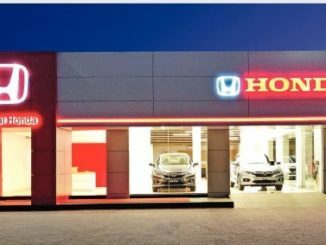 Power comes from the 109.7 cc air-cooled engine, matched to a CVT, the motor puts out 8 PS (7.88 bhp) and 8.7 Nm of torque. 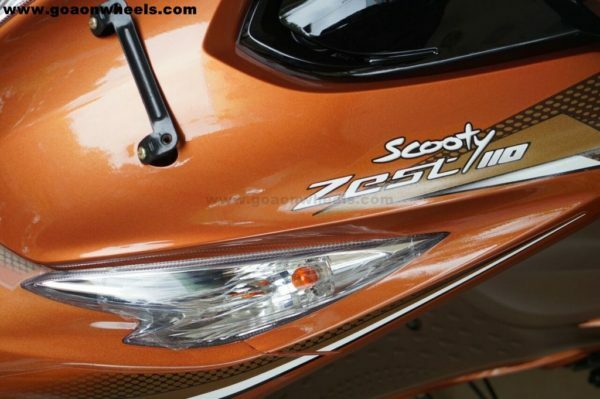 The Scooty Zest 110 “Himalayan Highs’ edition’ is priced at Rs. 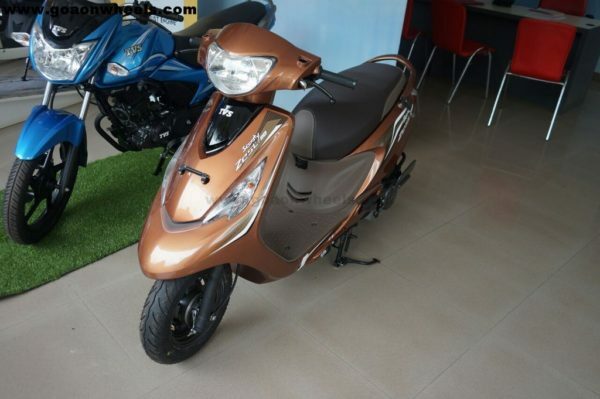 56,000 on road Goa.